Shelter Music Boston provides 80-90 concerts each year to organizations dedicated to serving individuals who are homeless or in recovery throughout Greater Boston. ​Current research documents the positive effects of music on physical and mental health and supports its use as a complementary tool in social service delivery. 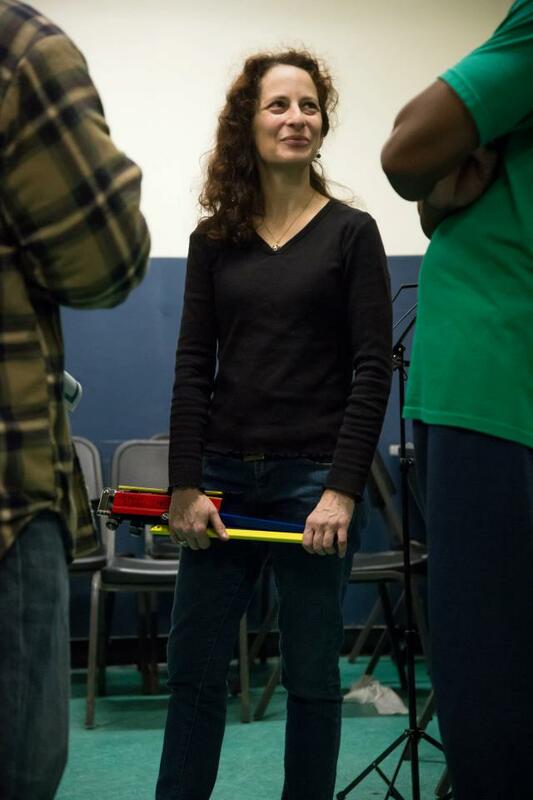 For a homeless or recovering individual, an interactive, respectful concert delivering the therapeutic power of classical music can provide hope, a sense of self-worth, and renewed energy to address the challenges of homelessness and recovery. "For my friend who suffers with substance abuse, the gift of classical music is nourishing to her soul. Thank you." "My shoulder was aching when I sat down to listen; now I am pain free. Music heals!" Shelter staff have said, "Bringing music of such beauty and complexity directly to the women at PSI absolutely raises morale." ​Opened in 1983 by Governor Michael Dukakis, the Pine Street Inn - Shattuck Shelter offers year-round overnight emergency shelter and support for 150 homeless men each night. Guests receive two hot meals, showers, clothing, a clean bed, and support from counselors and nursing staff. Pine Street Inn - Shattuck Shelter also provides assistance for guests who are struggling with addiction, legal, financial, mental health and physical issues. Stabilization is a 50 bed post-detox program providing intensive treatment and support for homeless men with histories of chronic substance abuse. Stabilization assists adult males (21 years or older) with successful recovery and reconnection to the community. The goal is to provide short-term clinical and support services, maximizing the potential for successful recovery, and providing the client with an understanding and acceptance of the need for continued treatment to prevent relapse. The program has the capacity to serve individuals who are dually diagnosed with a mental illness, as well as those living with HIV/AIDS or other chronic medical conditions. After a December 2017 concert one listener said, "Before this a lot of people here were really bummed out, and now everyone is uplifted. It totally changed the mood. Thank you." Recognized nationally as a model for the delivery of comprehensive health and human services, the Dimock Center provides the residents of Boston with high quality, low cost health care and human services, providing a mix of on and off campus residential programs that provide a structured, safe and committed environment critical to recovery. Since 2012, Shelter Music Boston has been performing monthly concerts for the women participating in the residential recovery programs My Sister's House and Women's Renewal. In 2018 SMB began to provide concerts to the Dimock Center residential programs for men, The John Flowers Recovery Home and The Askia Academy. One Dimock audience member said, "Before the concert, I was feeling stuck in a bad mood because I'm waiting to move on Friday to a halfway house. After the concert, I feel so much happier, so much emotion. It was uplifting and beautiful." Another said, "I never listened to classical music before, I didn’t know anything about it and I thought I wouldn’t understand it, but it is so beautiful and makes me feel so good. It’s good to know a recovering addict can listen to this music and like it and feel things in the music. The Ilene Beal Concerts for Women at The Dimock Center are generously funded by The Ilene Beal Charitable Foundation. The John Flowers Recovery Home provides residential support for 21 men for up to six months following completion of a detox program. The program is staffed by a licensed clinician and other case managers. Residents work outside the home, receiving support to secure employment within one month of arrival. The Dimock Center offers men individual and group counseling, case management and family stabilization as well as access to the breadth of comprehensive services in their Health Center and Child and Family Services divisions. Through an alumni network, participants stay connected with peers to provide ongoing encouragement and sharing of experiences to aid their recovery. Former participants in the program find this ongoing support particularly valuable as they progress with their recovery while gradually advancing in their personal and professional goals. The program is licensed and funded by the Department of Public Health’s Bureau of Substance Abuse Services. The Askia Academy, named for community activist Nate Askia, serves a maximum of 24 men in ongoing recovery for up to one year. Askia Academy is a healing community providing comprehensive support to men to prepare for self-sufficiency and ongoing recovery. The Academy offers men daily individual and group counseling, family stabilization, job preparation support, educational/vocational program referrals and peer-to-peer mentoring. Men also are referred to the health center for primary and specialized care, and their children are connected to Child and Family Services for enrollment in Head Start, early intervention and other services. The program is also licensed and funded by the Department of Public Health’s Bureau of Substance Abuse Services. 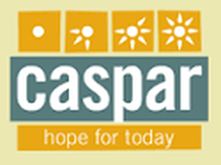 ​CASPAR (Cambridge and Somerville Program for Alcoholism and Drug Abuse Rehabilitation) provides community-based services for people with substance use disorders. CASPAR’s Emergency Services Center (ESC) shelter for homeless men and women provides life-saving services to 107 people nightly and over 1,000 unduplicated clients annually. It is one of two shelters in Massachusetts that accept homeless people who are using drugs and alcohol. Guests receive medical and mental health care, nutritional food, personal hygiene supplies, clean clothes, counseling, case management, and employment, housing, and treatment referrals in an environment that is welcoming and safe. During a CASPAR concert, a shelter guest gestured toward the audience, asking "Do you see all these people?" He explained that some people in the shelter may not know classical music. "But they'll sit here and listen to you play all night because you respect us and you don’t judge or look down on us. We get disrespected all day, but you guys don’t judge. That’s why these people are here listening to your music." Housing Families serves more than 890 homeless families, including more than 1,000 children each year. The organization believes in a holistic approach to ending family homelessness by addressing the concrete housing needs as well as complex circumstances that lead to housing loss and the continuing negative effects that result from homelessness. Housing Families’ case managers and program staff provide one-on-one care and advocacy for all family members. This care begins with each family’s arrival at the Housing Families Emergency Shelter and continues throughout the journey toward stable, permanent housing. Collaborating with a group of physicians from Massachusetts General Hospital, Bridge Over Troubled Waters is on the forefront of a national movement to develop innovative programs and practices to reach the most vulnerable, high-risk youth and provide the age-appropriate continuum of care that could enable them to transform their lives and grow into fulfilled, self-sufficient adulthood. For more than 40 years, Bridge Over Troubled Waters remains a national model and program incubator for youth development services which are effective in helping the most troubled and vulnerable homeless youth to turn their lives around. Lifebridge’s mission is to end the crisis of homelessness. Research shows that two factors are responsible for the problem of homelessness: a lack of affordable housing and the persistence of poverty in our community. Lifebridge believes the way to solve this crisis is one person at a time, to provide housing with supportive services, to encourage personal and income development, and stability in physical and mental health. To achieve these ambitious goals, Lifebridge delivers a suite of essential services on the Seeds of Hope Campus in Salem, MA. Rosie's Place was founded in 1974 as the first women’s shelter in the United States. Their mission is to provide a safe and nurturing environment that helps poor and homeless women maintain dignity, seek opportunity and find security. Today, Rosie’s Place not only provides meals and shelter but also creates answers for 12,000 women a year through wide-ranging support, housing and education services. Since 1985, the mission of Boston Health Care for the Homeless Program has remained the same: to provide or assure access to the highest quality health care for all homeless men, women and children in the greater Boston area. Over 12,000 homeless men, women, and children are cared for by BHCHP each year. Crittenton Women's Union helps low-income women achieve economic independence by combining in one organization direct service programs, independent research, and public advocacy. CWU serves approximately 1,400 low-income individuals annually. Most program participants are young women and their families, including teens and young adults. ​Hope House Addiction Services (Hope House) is the oldest, and now among the largest residential treatment programs in Massachusetts for adults with substance use disorder. Hope House was informally founded in 1956 by the late Jack Donahue, who began by taking up to three recovering alcoholics at a time into his apartment in the South End of Boston and providing them with support and shelter. Women’s Lunch Place is a safe, welcoming day community for all self-identified women who are experiencing homelessness or poverty. Women’s Lunch Place strives to meet guests’ most basic and immediate needs while coordinating and delivering critical support services designed to help women achieve greater stability and self-sufficiency whenever possible. The Kitty Dukakis Treatment Center for Women, overseen by hopeFound, was a 32-bed center at the Lemuel Shattuck Hospital. Between 2007 and 2012 the center served approximately 300 women a year who had gone through detox and were in the early stages of recovering from addiction. Services included a 28-day program counseling on substance abuse, post-traumatic stress disorder, and HIV. The Kitty Dukakis Treatment Center for Women closed in 2012; hopeFound merged with Pine Street Inn. The Community Day Center of Waltham began in 2001 when a group of homeless individuals, community activists, and local church leaders identified a critical gap in services for the homeless in Waltham. Between noon and 5:00 p.m. the options for safe, productive places for homeless individuals to stay were extremely limited. The group worked together for two years; CDC opened its doors in September 2003 and has averaged approximately 50 guests daily, providing a multitude of services for a population in need. Older adults often need extra support to remain independent in their homes and communities. That’s why Elder Service Plan is dedicated to serving their needs. Their mission is to provide a comprehensive system of care that maintains the health, dignity, and independence of their members. Their top priority is to provide excellent support and care to members. Older adults and their families will find a team who will work with them in a partnership of caring. All Elder Service Plan's work is done in a manner that maintains the dignity of their members and is sensitive to their preferences. The Lowell Transitional Living Center is the largest homeless shelter and support organization north of Boston with 90 beds and 70 emergency beds. The center provides shelter, food, services and support for the chronically homeless and those left homeless by crisis—job loss, illness, fire or other disaster. LTLC is committed to helping clients make the transition to stable, permanent housing.